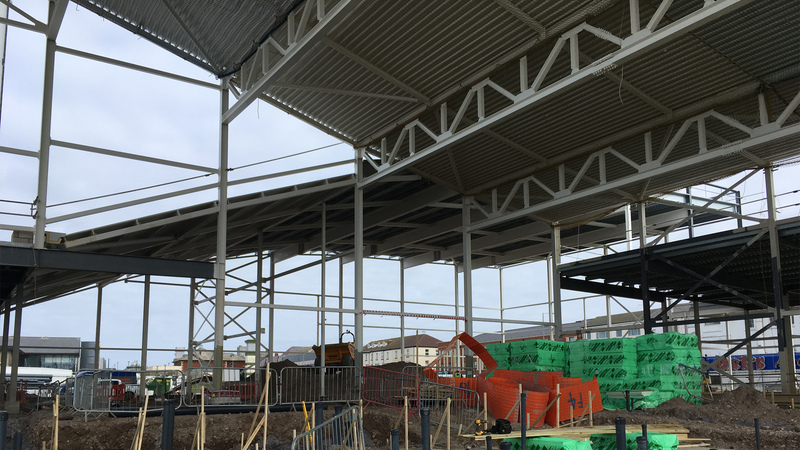 We are proud to be a part of this exciting project taking place on the North Welsh coast in Rhyl. 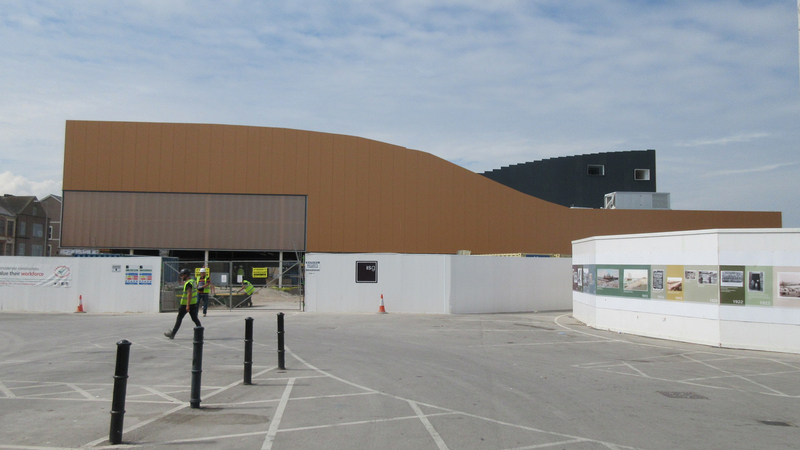 Working together with S&P Architects and ISG we are helping to deliver a brand-new leisure centre and a waterpark, which on completion shall boost the local economy by increasing visitor numbers. 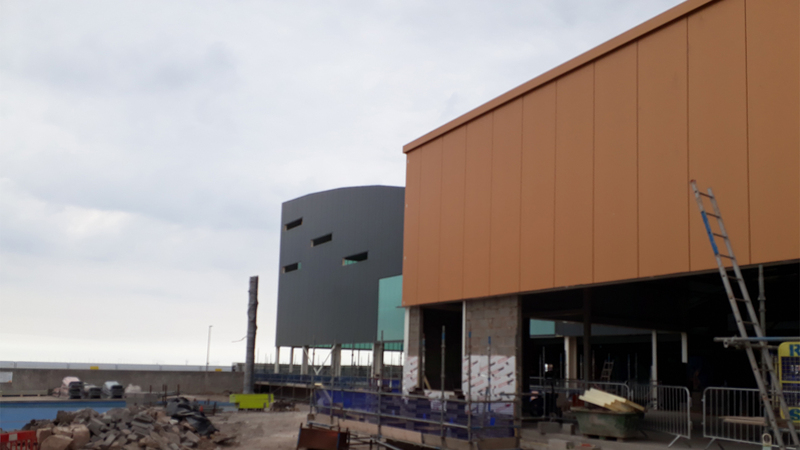 Located on the seafront next to Rhyl’s long sandy beach, the new building will be housed inside a double wedged-shape structure, topped with wave-like roofs. 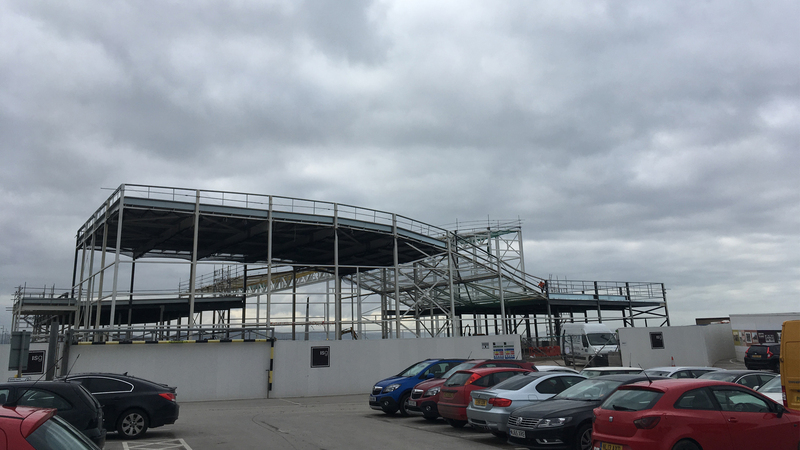 It will contain a 1,200 sq m pool hall with flumes, slides and water play features, there will be also an adventure area with a multi-level adventure play structure, a changing village and a café. 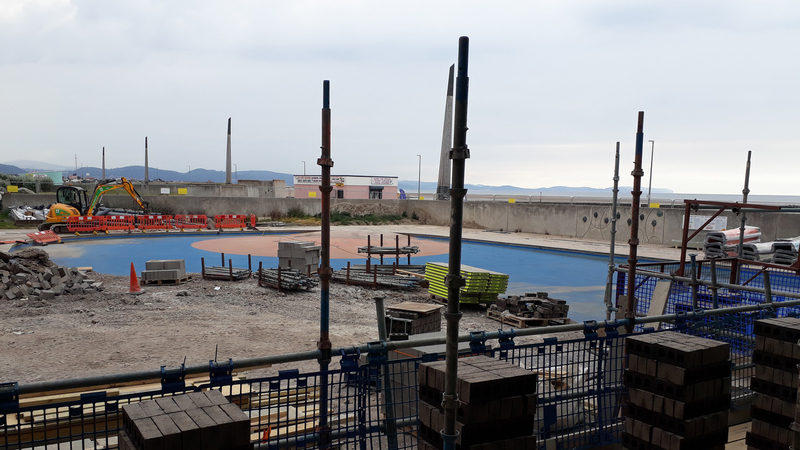 The existing open-air splash pad will be retained but with additional water play equipment installed, plus various terraced seating areas and an external food and drink pod. The entire building is constructed using a steel frame supported in the middle by a line of columns and a partition wall. This is designed to separate the wet – a waterpark area, and the dry multi-level play space. 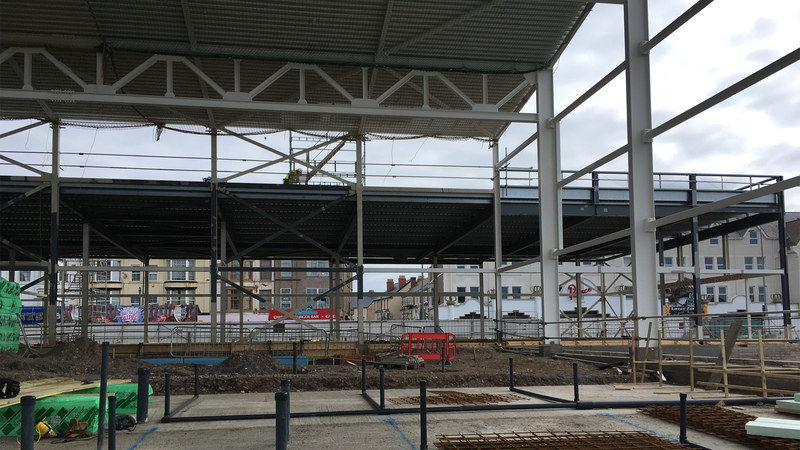 The Rhyl water park and leisure centre is due to be completed in early 2019.